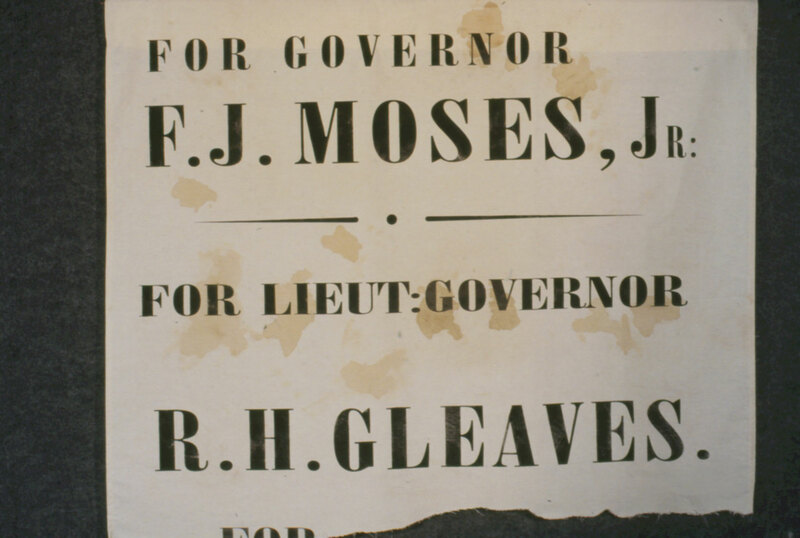 Campaign banner of Franklin J. Moses, Jr.
Franklin J. Moses, Jr., was South Carolina’s most notorious “scalawag”—a southerner who shifted his allegiance after the Civil War and cast his lot with the Radicals. Moses’s great-grandfather had fought in the American Revolution, his grandfather in the War of 1812; his father was a prominent judge and state senator. Frank Moses, Jr., helped raise the first Confederate flag over Fort Sumter and served as secretary to Governor Francis W. Pickens. 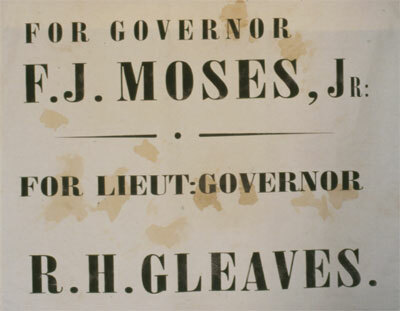 Yet in 1868 he was elected to the majority-black legislature, and in 1872 became governor of the state.